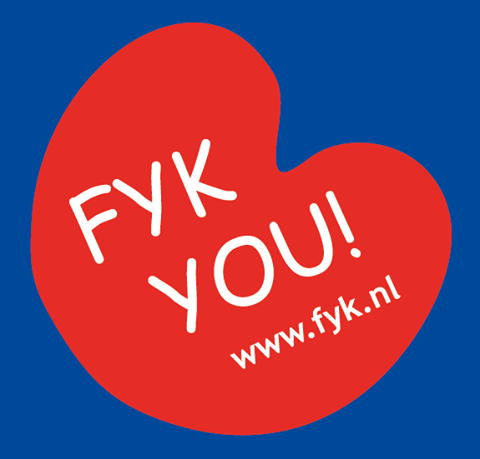 The members of FYK (Frisian International Contact organisation) are enthusiastic Frisian youngsters with a broad interest for their own region, as well as for the language and culture of other minority language communities. On a yearly base FYK-members visit other youth associations within Europe. We also welcome groups from “minority language communities” who’s visiting us from other regions. Frisian is the language spoken within the FYK organization. Many Frisians – and of course all FYK-members – are proud of their language and culture. Guests from other minority language regions are always curious how we keep our language alive nowadays. International is FYK by means of its contacts with young people from other regions, such as the North-Frisians and the Sorbs from Germany, Gaelic-speakers from Ireland, the Slovenes from Italy and the Rhaeto-romans from Switzerland. We often pay a visit to these regions to learn more about their language and culture. The most important yearly event is the Easter Seminar by Youth of European Nationalities (YEN), this is where we get in contact and socialize with other members of minority language organisations. Outdoor activities and social talks contribute to the aims of our organisation, by bringing people together we can learn more about each other. We are a subsidiary organisation funded by our members, the Province of Fryslân and the European Union. This helps us keeping the travel expenses low so all members can enjoy a trip at a reasonable price. Contact is a central point for FYK, between members and other organisations in Europe. We encourage our members to do all kinds of activities together and we organises our own events such as seminars, pop festivals and dinners for our members. The West Frisians are living in the North of the Netherlands, in the Dutch province of Friesland. From the total population of 650 000 about 400 000 are speaking Frisian, a West Germanic language. Other types of Frisian are spoken in the North and Northwest of Germany. Originally, the Frisians settled around the coast of the North Sea between today’s Denmark and Belgium. One assumes that the farmers immigrated into this region from the far north. With rising sea level the farmers withdrew to the “Warften“, higher-placed plots, which they surrounded with a wall of dung and waste. Around the year 1000, Frisian workers started to build dikes. In this way they won back land, which had been flooded. Friesland was more or less independent until 1498. The land was continually fought over until a Saxon authority was established around 1500. Frisian was then abolished as the official language. With industrialisation, social problems and crises arose such as the “Getreidekrise“ (1877). In the 17th and 18th centuries the Dutch language became more and more dominant. In 1795 with the arrival of French revolutionaries Friesland largely lost its original autonomy. In the 19th century a new Frisian consciousness formed. Although the establishment of a centralised state of the Netherlands during and after the French occupation was accepted, they nevertheless did not renounce their own identity. The regional movement for the Frisian language remained peaceful and focused mainly on its recognition. Because of drastic social changes in the last years (mobility and media) the Frisian language has lost importance and quality. Opposing these tendencies since the middle of the Sixties, the province has made a policy of supporting the Frisian language, and securing the equality of Frisian and Dutch. At the legislative and juridic levels as in the educational system, the Frisian language has a legal status, which, however, says little about its enforcement. One may speak Frisian in court provided a petition is proposed beforehand. The authority can insist on using Dutch, if a translation is not possible. All citizens are allowed to choose between Dutch and Frisian in communication with the regional and local administrations. Frisian documents must be translated if one party insists on a Dutch version. The Frisian National party (“Friesische Nationalpartei) of ca. 1000 members and with 3 of the 75 seats in the regional council, insist on a cultural autonomy of Friesland. When the party was founded in 1960, the other parties (Christian democrats and Social democrats) were forced to pay more attention to the Frisian culture. Frisian is currently spoken at the regional and local authorities as well as during meetings. The Council of the Frisian Movement – “Ried fan de Fryske Beweging“- is a kind of cooperative of various organisations which work in the field of Frisian culture and language. It represents ca 10,000 Frisians (about 1,6% of the whole population). The main problem of the Frisian language is that it is not positively perceived by the Frisians themselves. They tend to speak Dutch although they are able to speak Frisian – nor are they used to writing in Frisian. Many young people see the Frisian language as oldfashionened, something from the past. The Frisian movement feels that there is more work to be done at the base. The slogan is: “It is mei sizzen net te dwaan“, which means “these things must be practiced“. A common Frisian symbol is the “pompeblêd“ – the leaf of the sea lily. The Frisian flag has got seven “pompeblêden“, symbolising the seven medieval Frisian regions. The province of Friesland has a provincial cultural council (“Frysk Keunstynstitút“) which organises cultural events such as the “Frysk Festival“. In theater, pop- and folkmusic, the Frisian language plays a relatively important role. In other forms of art the Frisian identity is less important. Up to now 2 Frisian films have been produced and there are about 100 poets who write in their own language. The first publication in Frisian was a book by the poet Gysbert Japiks (1640). A typical Frisian undertaking is the so-called “Sutelaksje“, a trading action in which volunteers in groups of two visit about a hundred villages with a wheel barrow selling books. 95% of the Frisians understand their own language, about 60% are able to read it, but only 10% can write it. In Friesland, mainly the Westfrisian language is spoken. A study about Frisians and kindergartens published in 1984 says that about 40% of the children go to kindergarten, where Dutch usually is dominant. Frisian is a a common language only in the rural kindergartens. In 1985, the integrative primary school was established. Since 1980, the primary schools have been obliged to include Frisian lessons in their teaching programms. It largely depends on the teacher if Frisian is used during the lessons in primary schools. At the higher grades of the primary schools and the secondary schools Dutch is the dominant language, in all subjects exept Frisian . By law, pupils up to 15 years of age must be taught a minimum of one hour in Frisian per week, however many elementary schools see no necessity for this. Many schools successfully seek exemption if the majority of the pupils do not speak Frisian. In higher education, Frisian exists only at colleges – not at the Univerities. The research institute “Fryske Akademy“ conducts a broad spectrum of research projects such as the composition of dictionaries and the setting up of information systems (for example Mercator – educational school). This system cooperates with research institutes in many countries. Friesland has got its own radio station – “Omrop Fryslân“, which broadcasts about 10 hours per day. The reporters speak Frisian, but guests may talk in both languages. National television broadcasts about 2 hours in Frisian every week. The program contains documentaries and educational programs. Regional television in Friesland was established on the 1st of January, 1994. It telecasts regional news and current events about one hour per day from Monday to Friday between 1900 and 2000, and once more in the night. The regional television has a budget of NLG 3.000.000 yearly, but acquired a large deficit in its first 8 months. Both regional newspapers publish news in Frisian but this takes only 2 % of their volume. The regional council intends to buy a page from both papers weeklyin order to report on different issues in the Frisian language. Friesland has no heavy industry. Its economy depends mainly on agriculture tourism, the public and social sectors, and the health service. The rate of unemployment is currently about 12 %. Tourism is the main instrument of development in the regional economy. Along the border of the many lakes of Friesland, more and more holiday centres are appearing. Nearly every town sets up its own industrial districts. The Frisian language plays no important part in work, except in agriculture. The Frisians have some typical sports such as “keatsen“ (similar to Tennis), “fierljeppen“ (a kind of pole voulting) and “aaisykjen“. The Dutch government supports the Frisian minority with 5.600.000 Guilder per year, of which the theatre ensemble “Tryater“ gets 2.300.000, the resaerch institute “Fryske Akademy“ gets 1.500.000, the development of teaching aids for Frisian students takes 800.000, and 200.000 goes to teacher’s training. The cultural institut AFÛK, of the “Ried fan de Fryske Beweging“ (Council of the Frisian Movement), the development of Teaching aids and Frisian educational television are supported by the province Fryslân with 2.870.000 per year. In addition, 25 communities in the Frisian language finance various theatre performances and pop-concerts with about 700.000 Guilder. The community alone, therefore invests between 10.000 and 100.000 Guilder in the Frisian Culture.